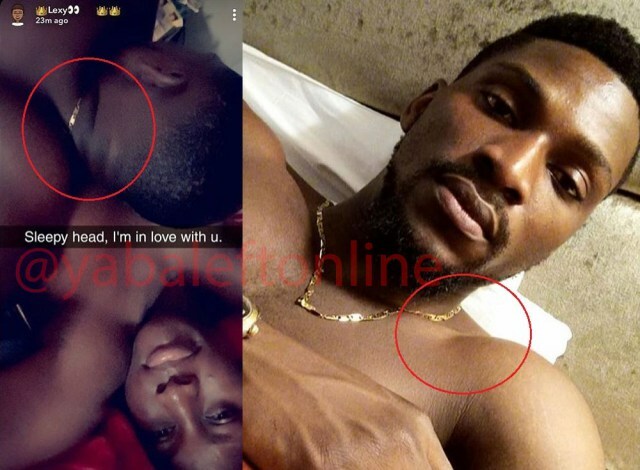 In a new development on social media buzz, a photo which shows serious intimacy between BBNaija finalist, Alex and and an unidentified guy who’s alleged to be her bestie, Tobi has surfaced online and people have begun talking and slamming. After the photo surfaced online, the former Big Brother Naija housemate came out quickly to refute the claims saying that her account was hacked and the photo, doctored. Sharing the photo on her Verified Instagram page, In a bid to claim that the photo is a faux. “I do not have a picture like this first of all and my Snapchat account has been hacked. I really do not understand what people will gain by making this kind of picture. What every fight you guys are putting up hasn’t gotten to this extent”. Eagle-eyed social media gurus spotted the neck chain that was on the neck of the guy and he matched that of Tobi thereby fueling the possibility of he being the one in the photo. Stay connected for more updates from Alex and Tobi Big Brother Naija former housemates.